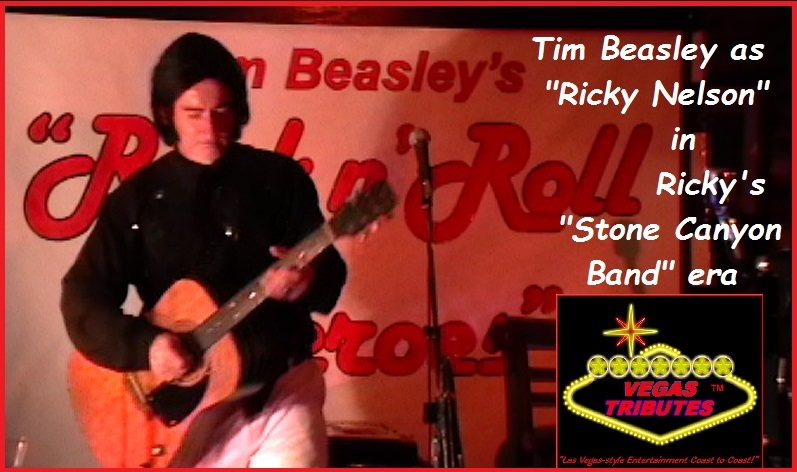 Tim Beasley now proudly adds his "Ricky Nelson" tribute to his "Rock n Roll Heroes" TM variety tributes show. 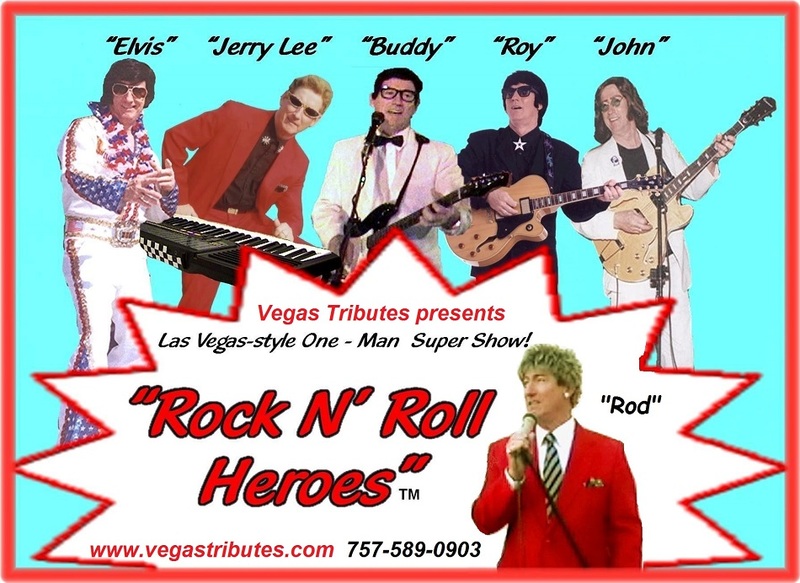 There have been young music stars and fans ever since the days of Rudee Valle, but the term "teen idol" didn't come into popular culture use until "America's Favorite Teenager" Ricky Nelson became the first "teen idol" that set the mold on that description. Being a natural performer, Ricky Nelson already had millions of young TV fans in his real life role as son Ricky in the immensely popular "Adventures of Ozzie and Harriet" family TV shows of the mid fifties. Premiering his "rock n roll" talent on the show with "I'm Walkin'," a cover of a popular Fats Domino song of the time, Ricky's fans clamored for more! So it became another grand attraction that about every third or fourth show as Ricky would end that episode with another new hit song performance. This lead to many top hits and cemented Ricky's influence solidly into the grand history of early rock n roll. Later in his 1970's career, Ricky became 'Rick Nelson' in a move to create a new era of hits for himself, and tragically he came to join others in "that big stage in the sky, NYE 1985, dying with others in his entouage in a fatal plane crash, like his 50's contemporaries Buddy Holly, Ritchie Valens and JP "Big Bopper" Richardson in 1959. Yet, his music will live on in the hearts and minds of his many, many millions of baby boomer fans and fans of classic rock n roll, with its base in still very popular rock-abilly music. Performance for the "Welcome Cruisers Party!" This event at Seacrets, one of the largest nightclubs on the East Coast, is the kickoff to "Cruisin' Ocean City" 25th anniversary event of the huge annual custom car and truck event at the Ocean City oceanfront and Convention Center. Over 100,000 in attendence and 3,500 beautiful cars and trucks registered for viewing enjoyment! "Never Ever Be Anyone Else But You"
Please call we love to talk!...and you can text us, too!